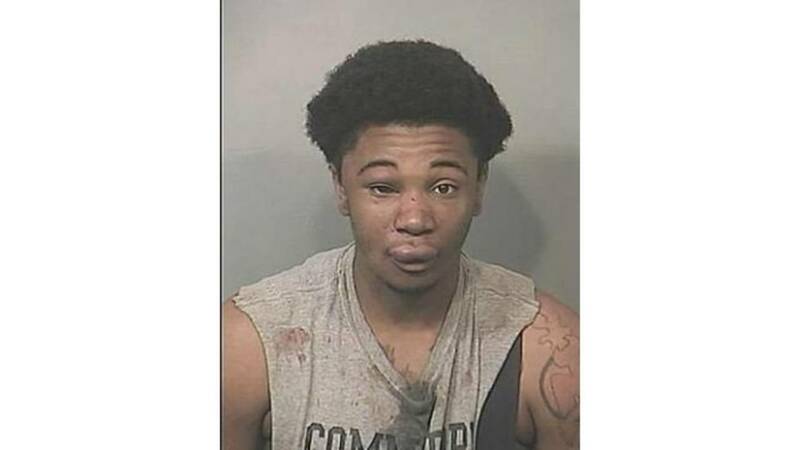 PALM BAY, Fla. - Residents inside a Palm Bay home beat, kicked and used a Taser to shock a 19-year-old during a home invasion. Michael Maxwell, of Palm Bay, was charged with one count of home invasion robbery with a firearm or deadly weapon and four counts of battery after police were called about 1 a.m. Wednesday to investigate a disturbance at a home in the 700 block of Monterey Drive. Maxwell was being held on a $51,000 bond at the Brevard County Jail Complex in Sharpes. Police also arrested a 17-year-old companion of Maxwell on the same charges. Police said that several men, including Maxwell, arrived at the home in a gold 2004 Chevrolet Malibu and stormed the home, but the residents inside managed to fight off the attack. Maxwell, who police said works as a tattoo artist, was taken to Holmes Regional Medical Center in Melbourne for treatment after he was repeatedly kicked, Tased and struck by the victims, according to police reports. Police questioned the victims but did not immediately report whether they knew Maxwell, the teen or the other men. The case remains under investigation. Anyone with information about the incident is asked to call police at 321-952-3456.